Mr WolfDog is the new face for Old Spice. 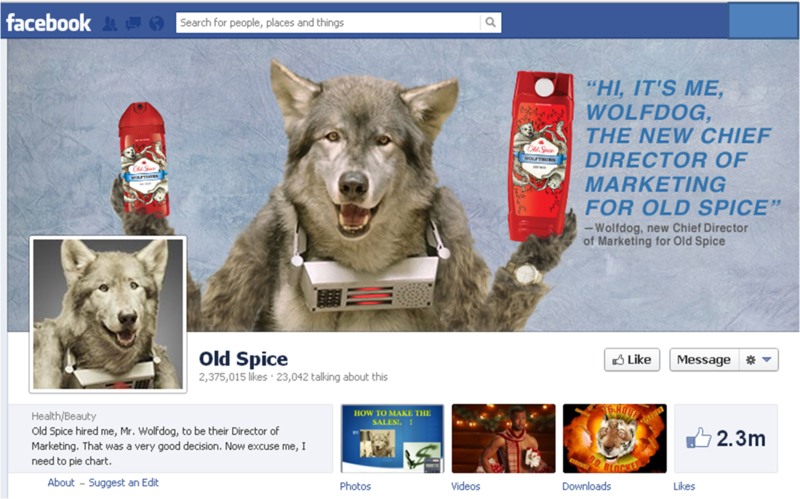 WolfDog is the new 'Executive Director of Marketing' and has taken over the official Old Spice Twitter feed. WolfDog also has a Twitter account of his own @DirectorWolfDog. 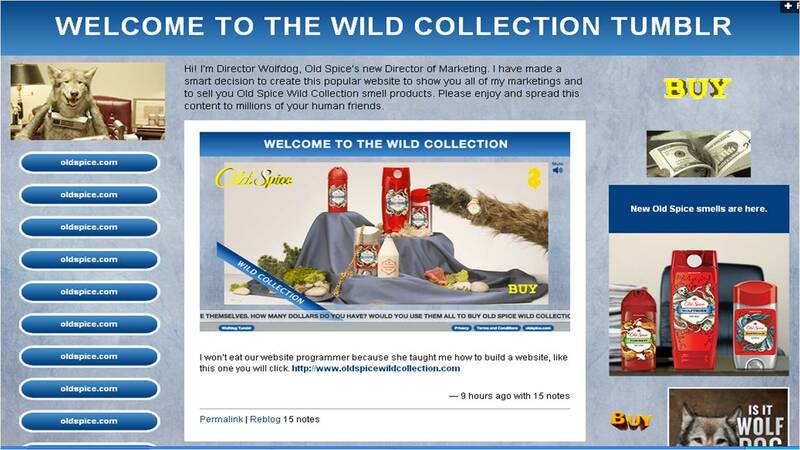 The tone of voice is similar to the original 'I'm on a horse' Old Spice man ads and Mr. WolfDog has been brought to life across a range of channels with everything unashamedly mentioning / promoting the new Old Spice animal scents.